Optimum utilization requires the presence of both essential and non-essential amino acids in defined proportions (Chapter 6). Most of the relevant studies have been conducted with growing animals. However, there is a need to identify the optimum ratios for particular physiological functions such as maintenance and reproduction. Indirect evidence suggests that the optimum ratio might be higher for maintenance. The assumption is that mutual interconversions may not be sufficient to satisfy the needs of non-essential amino acids. 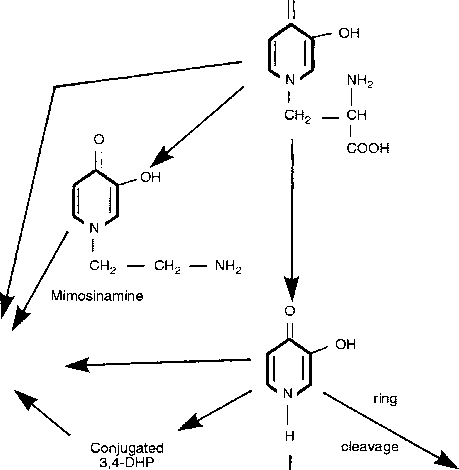 The roles of glutamate, glutamine and homocysteine may be relevant in this respect. The use of true ileal digestibility values in diet formulation should be encouraged as it will allow better prediction of animal performance and assessment of cost/benefit value (Chapter 10). However, corrections for endogenous losses need to be standardized to enable universal application. It is important to establish whether the high-protein effect on utilization of the first-limiting amino acid is a genuine manifestation of imbalance or an artefact (Chapters 7 and 14). Although dietary manipulation of amino acid supply for improved efficiency of wool growth is possible, genetic selection may be a more cost-effective means for achieving the same result (Chapter 17). Progress on growth (Chapter 18) and lactational responses to amino acids in ruminants would be greatly advanced by the availability in future of rumen-protected forms of all essential amino acids. It is likely that reproducible responses will depend on the addition of several of these amino acids (Chapter 20). Postruminal infusion of proteins will continue to provide valuable information on amino acid utilization, but it is essential that casein is not used for this purpose as it does not behave like a typical feed protein (Chapter 20). The superior quality of proteins from animal sources compared with oilseed byproducts continues to defy elucidation. Evidence previously recorded with poultry (Chapter 14) has now been extended to ruminants (Chapter 20). In certain types of fish, methionine deficiency uniquely results in the development of bilateral cataracts. The same effect may occur if methionine: cystine ratios are inadequate (Chapter 23). The relatively large discrepancies in threonine requirements noted in the previous edition have still not been resolved.